How far along are similar efforts in the other states? Is it constitutional to have the current two party system? What party are most of the independents coming from? Why are independents not allowed to vote presently in primaries? How will the primaries work? And can we stop people from voting twice? Open Primaries held this event to discuss how we can make positive changes to Arizona politics. Independents are the fastest growing group of Arizona voters but people don’t realize it due to the partisan nature of politics. 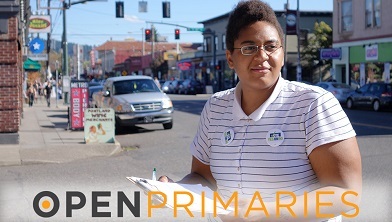 Open Primaries believes in a simple, yet radical idea that no American should be required to join a political party to exercise his or her right to vote. Guest speaker, John Opdycke, spoke about how unhappy Americans are with the political system right now. He mentioned the #1 issue that Americans are concerned about is government accountability. There are growing numbers of people that are leaving the Democratic and Republican parties to join the Independents because the parties are not serving the needs of the voters. Therefore, voters are taking matters into their own hands and are joining the independents. Produced by Ring Limited.